Size, mm: 55 x 80 (height x diameter), glass bowl diameter 60 mm. 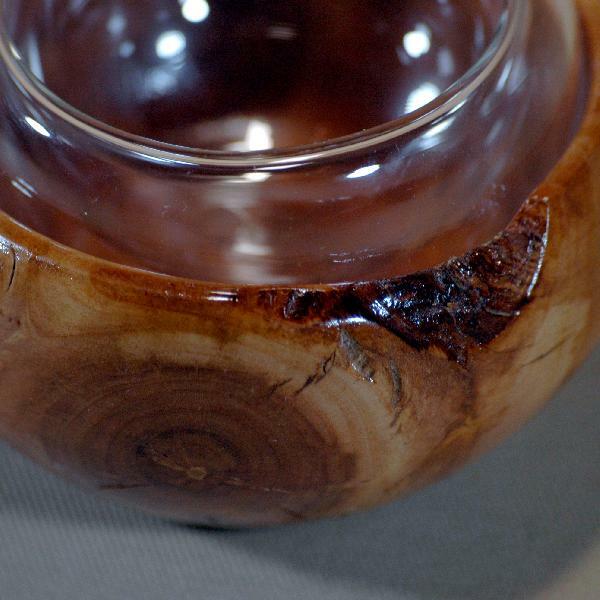 An elegand apple wood ashtray with a glass bowl on the inside. Also suitable for storing small jewelry, beads or keys.